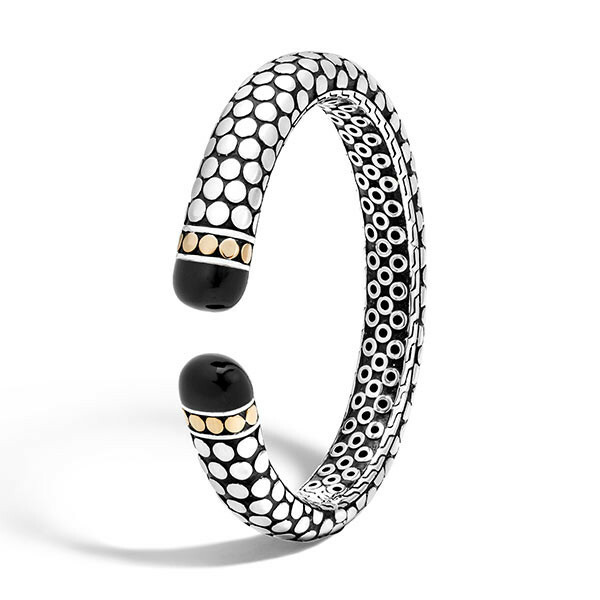 You'll go just dotty over this John Hardy kick cuff from the Dot collection. Flat, shiny dots of sterling silver cover a darkened sterling silver surface to create this fantastic open-ended piece. A smooth black onyx gemstone caps each end, and a ring of 18kt yellow gold dots trims the black onyx. This John Hardy bracelet will add instant pizzazz to any outfit!